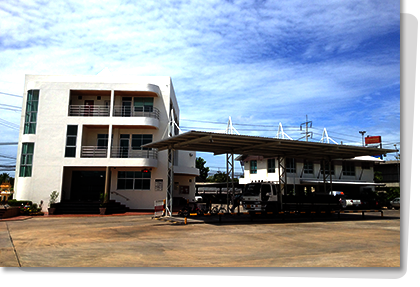 About Us >> Profile, Chiang Seng Huad Steel Group Co.,Ltd. We are now located on Praram 2 Rd., Bangnumjerd, Samutsakorn. With over 10,000 sq.m warehouse and a huge variety of construction steel products such as Lip Chanel, Pipe, Beam, Plate, Channel, Angle, etc. , we are able to serve our customers in many industries. Also, we have our own transportation which enable us to supply the products on time. With all mentioned, our group of companies are now well-known and being accepted by all over 200 wholesalers and retailers throughout Thailand.